It's hot here, but maybe these snowmen will help us cool down. This 54''x65'' finished quilt is perfect for the winter months. Warm Winter Blessings is designed by Lisa B. of Primitive Gatherings. 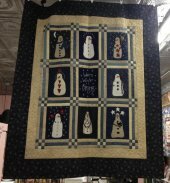 Our snowmen are wool appliqued to a cotton background. Each month for 9 months, you'll receive a snowman block or the center embroidery block. Then in month 10, you'll receive the sashing, border and binding fabrics. This 10 month program is only $14.99 a month! The 1718 Coverlet features the earliest dated piece of British patchwork. It is the earliest known British patchwork that has a date worked into the piece and forms as a benchmark against which all other rare survivors of early 18th century patchwork can be compared. 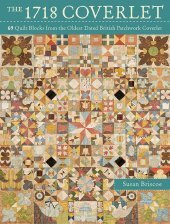 This book breaks down 69 of the quilt blocks in the 1718 Coverlet. Betsy Chutchian's newest book is almost hot off the press! 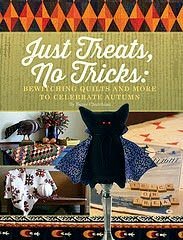 And, we are excited to announce that she is joining us next Friday, Sept. 19, at 1 p.m. in celebration of her newest book "Just Treats, No Tricks" for a book signing and trunk show. She'll be sharing stories and quilts from her new book, which showcases her love for Halloween and fall. It's going to be so much fun! Don't miss this opportunity to see Betsy's beautiful quilts, her stories and to get your books signed. Are you wanting to improve your piecing skills? Are you self taught or a beginner? MJ's Building Blocks I and Building Blocks II club might be exactly what you've been looking for in a quilting class. In Building Blocks I, MJ will help you tackle your piecing as you learn to precisely piece your blocks. In Building Blocks II, MJ will continue to help you improve your piecing by teaching you the construction techniques of special blocks. When you meet for session two and three, each Building Blocks club builds upon the block taught in the previous session. You'll be learning from one of the best. Building Blocks I meets the third Monday of the month beginning September 15 from 10 a.m. - 12 p.m. Building Blocks II also meets the third Monday of the month beginning September 15 from 12:30-2:30 p.m.
Janet is Happiness Is ... Quilting! 's silk ribbon, embroidery and beading expert. So, if you've been wanting to learn to embroider, this is the teacher you wanting to learn from. In this introduction class, Janet will walk you through, step-by-step on how to transfer your embroidery design onto the fabric and instruct you on the basic embroidery stitches. 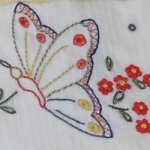 Join Janet Tuesday, Sept. 16, from 10 a.m. - 1:30 p.m. to get started in you hand embroidery journey. Register today. You are not going to want to miss the next two meetings of Carolyn Miller's Quilt Heritage Talks. This month, Friday, Sept. 19, from 10 a.m. - 12 p.m., Carolyn will be sharing her knowledge and showing quilts from her collection featuring Texas. 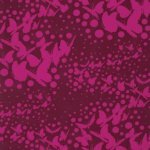 Next month, Friday, Oct. 17, Carolyn will discuss and share her Depression Era quilts. 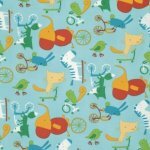 Oh my Quilt! Who am I kidding? You don't want to miss any of the Quilt Heritage Talks!